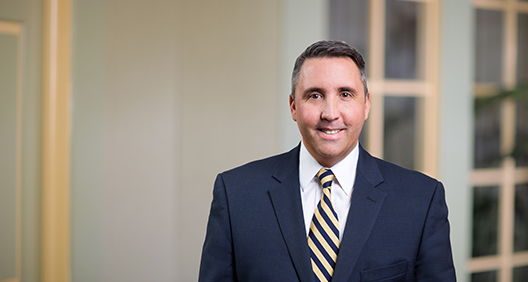 With a breadth of experience across all platforms of government regarding telecommunications and technology policy, Greg Orlando has a unique perspective on the manner in which government entities intersect and affect businesses and consumers. He has worked in both legislative and executive branches of the federal government, including within the U.S. Senate Committee on Commerce, Science and Transportation; the Federal Communications Commission (FCC); and the National Telecommunications Information Administration (NTIA); as well as holding senior positions at the U.S. House of Representatives. Greg has demonstrated extensive knowledge and has key relationships across all sectors of the communications and technology arenas, with particular focus on wireline competition and media policy. He has worked on a number of key communications law issues, including the FCC's Open Internet Order, the Internet Protocol transition, issues surrounding the Universal Service Fund and intercarrier compensation, broadband infrastructure deployment, and Title II privacy issues. He has also worked on key media and broadcast issues, including the FCC's set top box proceeding, retransmission consent issues and the broadcast incentive auction. Counsel to Chairman John Thune and Republican members of the U.S. Senate Committee on Commerce, Science and Transportation on telecommunications, media, internet and technology policy. Drafted comprehensive infrastructure legislation aimed at facilitating broadband deployment, particularly in rural areas, as well as the FCC Reauthorization Act, aimed at streamlining FCC processes, among other initiatives. Worked on Universal Service Fund policy, particularly surrounding recent rate of return reform actions at the FCC and their effect on rural telecommunications companies. Counsel to Senate Subcommittee on Communications, Technology, Innovation and the Internet Ranking Member Sen. Roger Wicker. Prepared all hearing materials, including committee hearing memos, negotiated witness selection for hearings and shaped the scope of respective hearings. Prepared the ranking member for committee hearings and markups, and drafted opening statements, questions, floor speeches and committee press events. Handled a broad range of Senate Commerce Committee issues as personal office counsel to U.S. Sen. Roger Wicker, including aviation, surface transportation, communications, privacy and data security matters. Wireline legal advisor to FCC Commissioner Deborah Taylor Tate on all wireline and broadband policy issues, specifically including the August 2008 Comcast/BitTorrent network management order. Negotiated proposals to reform rules governing intercarrier compensation and the Universal Service Fund for telecommunications providers. Handled forbearance petitions filed by regulated entities as well as telecommunications and video relay service issues. Communications policy specialist for the National Telecommunications and Information Administration (NTIA). Handled legal compliance and project management for the NTIA Broadband Technologies Opportunity Program, a $4.7 billion grant program authorized by the American Recovery and Reinvestment Act aimed at expanding broadband deployment, access and education in the United States. Legislative director and counsel for U.S. Rep. Mike Ferguson's policy agenda and managed legislative staff. Handled hearing and policy preparation for work on the House Telecommunications and the Internet Subcommittee. Drafted the Audio Broadcast Flag Licensing Act of 2006, legislation requiring developers of digital audio broadcast systems to include a broadcast flag or similar technology limiting the unauthorized dissemination and downloading of content. Advised Chairman John Thune and Republican members of the committee on telecommunications, media, internet and technology policy. Prepared Sen. Wicker for committee hearings and markups, and drafted opening statements, questions, floor speeches and committee press events. Oversaw Senate Commerce Committee issues for Sen. Wicker, including telecommunications, technology, aviation and Surface Transportation Subcommittee responsibilities.